Select the "Create New" item from the main toolbar. 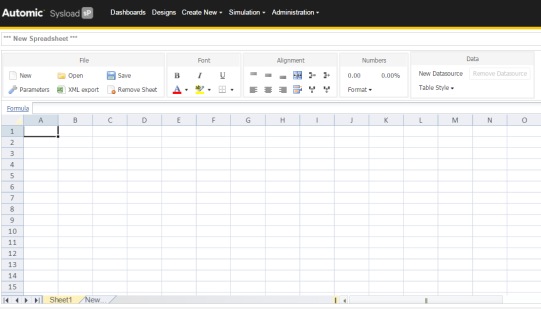 A new and empty spreadsheet page is displayed. From this point forward, you can start to add a datasource to the spreadsheet. After you have selected the new spreadsheet option from the "Create New" menu, you will notice a “ribbon” type menu with various options displayed. The Font, Alignment, and Numbers are standard spreadsheet features and are self-explanatory. The File and Data menu are described below. 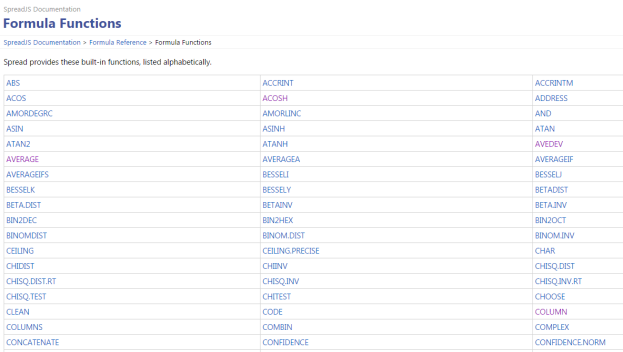 The file menu enables you to manage your spreadsheet, the features are explain in the table below. Creates a new "empty" instance of a spreadsheet. The "Open" pane is displayed which lists all saved spreadsheets. 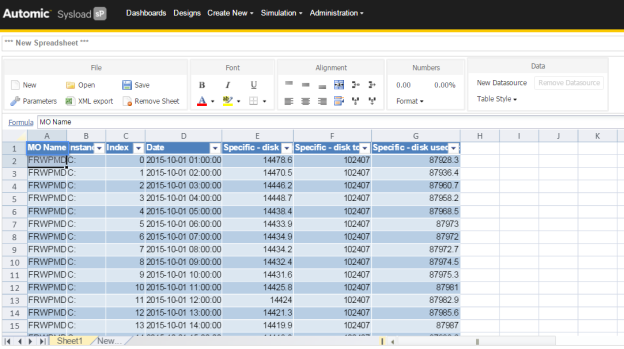 Saves your current spreadsheet and displays the "Save" pane. Displays the "Parameters" pane. 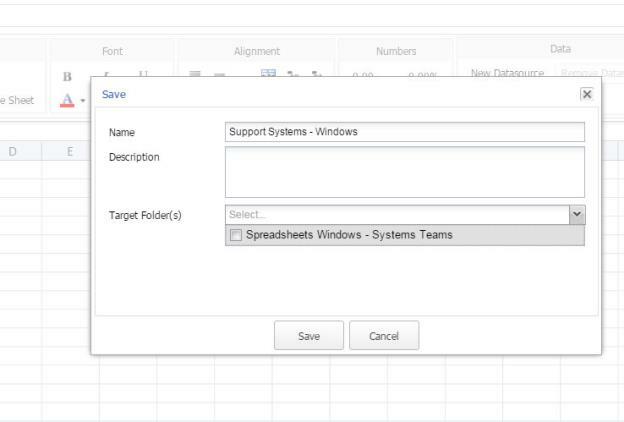 Enables you to modify your spreadsheet name and target folder. Exports your spreadsheet in XML format using the following syntax yyyy-mm-dd_<spreadsheet_name>. Note: The date syntax correspond to the actual date of the download generation and not the spreadsheet creation date. Note: When you export a spreadsheet the datasource style is not exported. 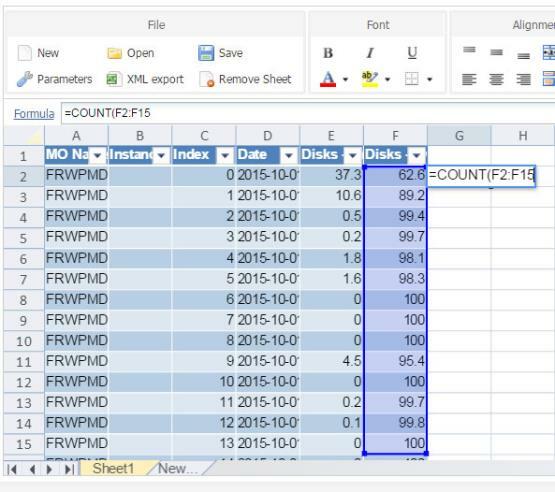 Your exported file can be opened in MS Excel. If you are using a version prior to 2011, then you may have to specify XML as the file type to open. Opens the "New Datasource" pane. Opens the "Edit Datasource" pane. Click a cell in your spreadsheet, then select "Edit Datasource" to modify a Period, MO or Metric. Enables you to change the spreadsheet style with a selection of 5 predefined colors. Removes all data contained in your spreadsheet. Select "New Datasource" from the Data menu. The "New Datasource" panel will be displayed. 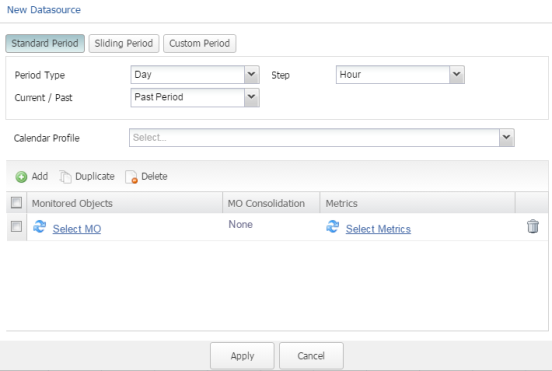 After selecting the Period, MOs and Metrics click Apply. Your datasource will be imported into the spreadsheet. By default, the spreadsheet displays 200 rows and 20 columns. 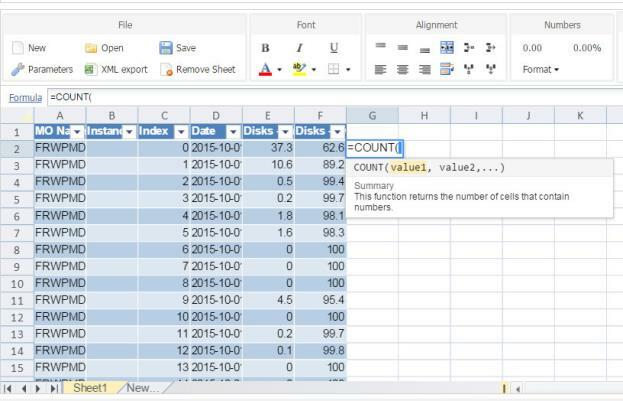 The space above the spreadsheet is used to create formulas. The "Formula" link can be used as an external reference to provide you with formula functions. Automic Sysload is not responsible for the content or updating external Webpages. Opening from the "Dashboards" list page. We recommend that you create a specific folder for your spreadsheets. 2. From the spreadsheet page, select Open from the displayed ribbon menu. The pane is displayed when the "Parameters" option is selected on the Spreadsheet toolbar. Enables you to add a spreadsheet description. This may relate to the context of the spreadsheet or anything else you might find useful spreadsheet viewer. 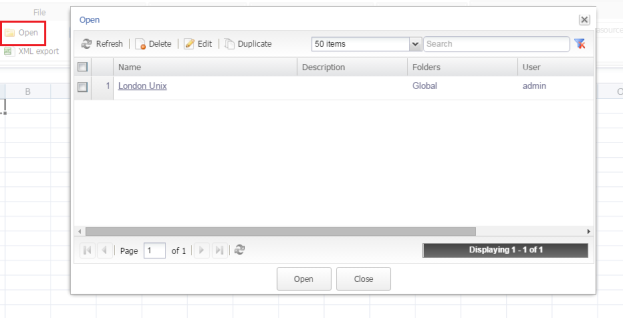 Enables you to select a target folder for your Dashboard from the displayed drop-down list. Cancels and closes the "Parameters" pane. The "Save" pane operates the same way as the "Parameters", refer to the table above for descriptions. The pane is displayed only when you first "Save" your spreadsheet. If you want to edit your spreadsheet name or target folder you must use the "Parameters" option. We recommend that you create a specific folder for your spreadsheets using the "Folders" option found in the administration menu.